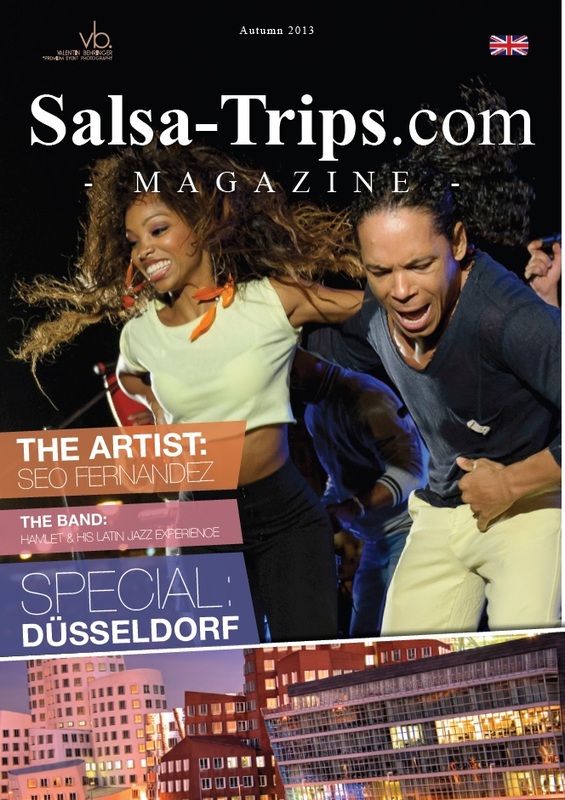 WELCOME TO THE 6TH EDITION OF THE SALSA-TRIPS.COM MAGAZINE – AUTUMN 2013 -Our next stop is Düsseldorf, considered as one of the most politically, economically and culturally important cities in Germany. While the city offers a lot at any time, we are looking forward to celebrate its’ 1st edition of the “Salsa Festival Düsseldorf” at the end of December. This edition also gives you more background about Willy the Viper, one of the most demanded DJs in today’s Salsa scene. Browsing our magazine, you will find the story about Seo Fernandez as well as our recommendation for his brand new album “Welcome To Mi Fiesta”. And you will get an insight about Hamlet & His Latin Jazz Experience, which is a 6-piece combo, playing Hamlets’ own compositions. Did we mention our DJs’ pages and the Event Manager? Curious about it? Then enjoy the latest edition! Please also recognize the ads of the organizers, who established great events and also supporting the Salsa-Trips.com Magazine with their advertisements.